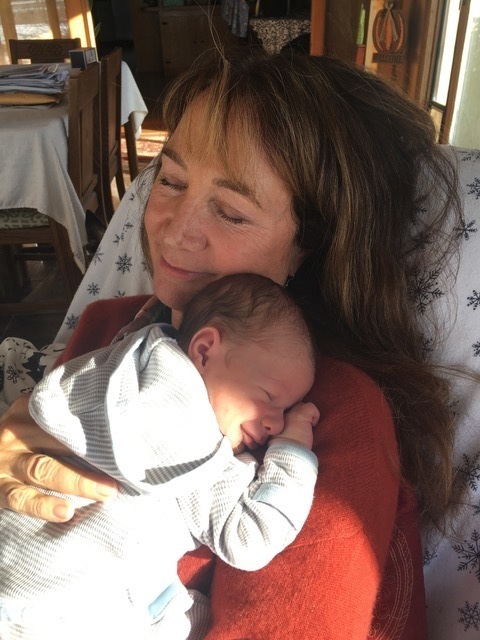 I have spent the last 20 days in Bozeman, Montana with my daughter and son-in-love, welcoming their new son Finley William Shafer (Finn) into the world. Oh, the love and gratitude that fills my heart! Whether you are celebrating Thanksgiving in the U.S. or just practicing a bit more compassion and gratitude for both yourself and others this holiday season, I am grateful for the light you shine in today’s changing world. I am grateful for you and all you do to share your gifts with the world. One thing I am certain of is that we are all connected. We are one. Your thoughts and actions create a ripple effect that impacts the world. Yes, you have an impact, whether you are aware of it or not. I invite you to take a moment now and reflect on something or someone you love and are grateful for. Something or someone that brings you joy. Someone you care deeply about. Pause, close your eyes and take a breath. Now bring that someone or something to your memory and feel the feeling of love and gratitude expand in your heart. Close your eyes and acknowledge how this feels. Embrace this warm, full, and expansive feeling inside you. Every time you do this, you are sending ripples of love out into the world. This is the “medicine” our beautiful planet is hungry for. I am grateful for having you in my Opening Doors Within community. Thank you for your desire to grow yourself from the inside out. Just that intention alone expands our world into a more beautiful place.